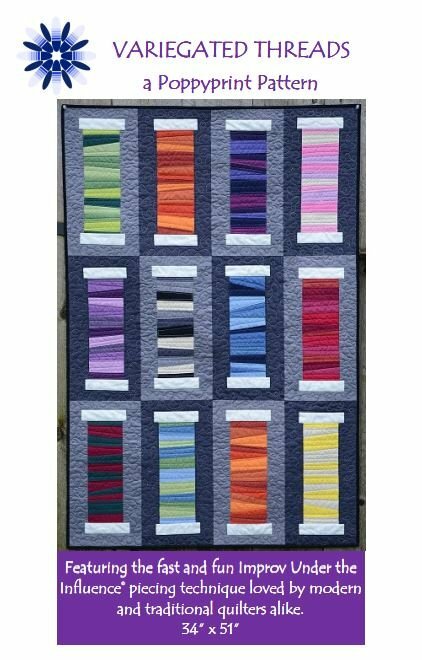 Add some gorgeous color to your sewing studio with this clever spool quilt! 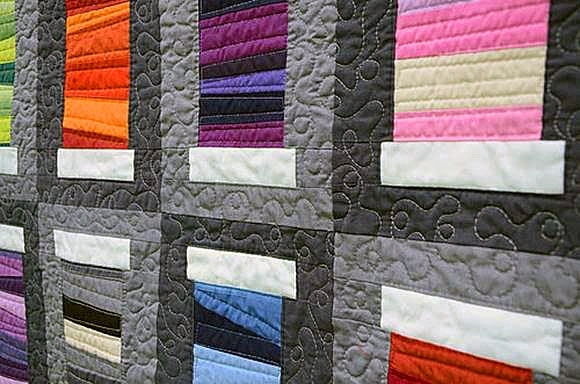 The "thread" sections are pieced with Krista’s fast and fun Improv Under The Influence technique that is loved by traditional and modern quilters alike. 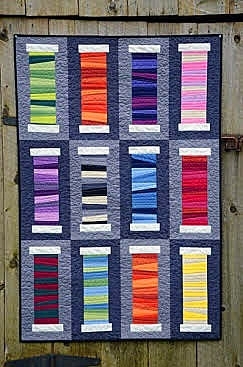 You can sew your variegated thread spools side by side to create a gorgeous table runner! 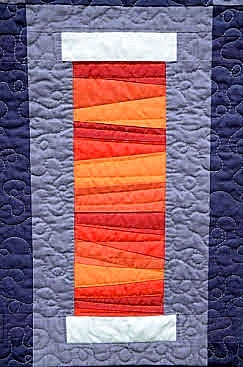 This pattern was originally featured in Simply Moderne magazine issue #5.